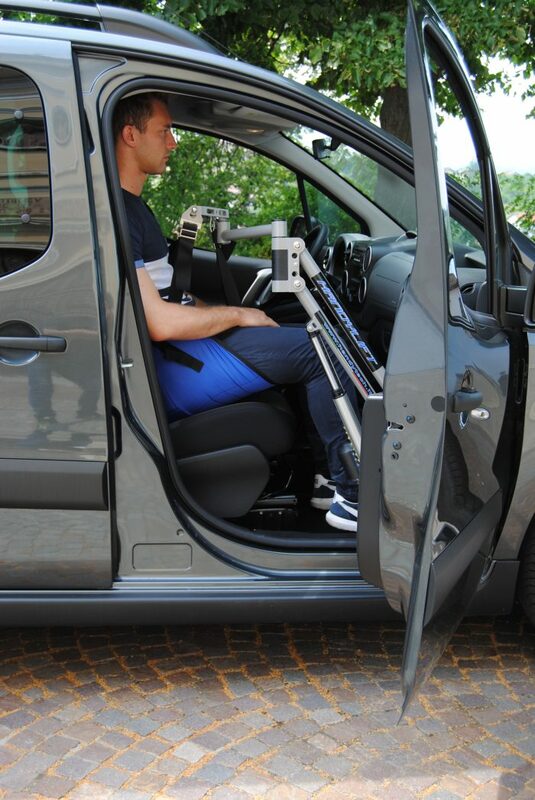 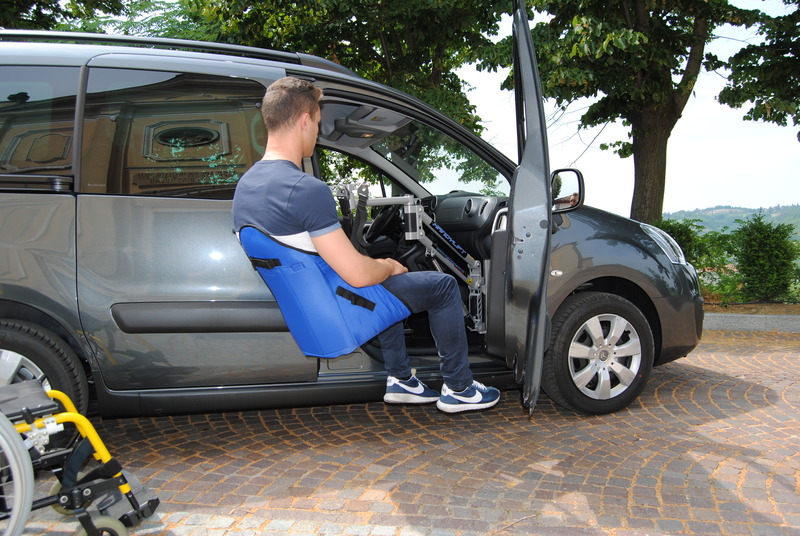 Handylift is an electromechanical lifting arm that has the function to facilitate the transfer of the passenger from their wheelchair to the original vehicle seat. 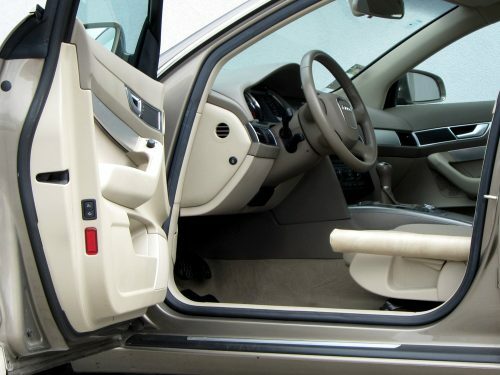 Handylift is usually installed by the front passenger door, but it is possible to install it by other suitable access compartments too. A sturdy sling, made of washable fabric, placed between the passenger and the wheelchair is hooked to Handylift that allows a quick and easy transfer of the person, thanks to its three horizontal rotation points coupled to the electronic lifting system. 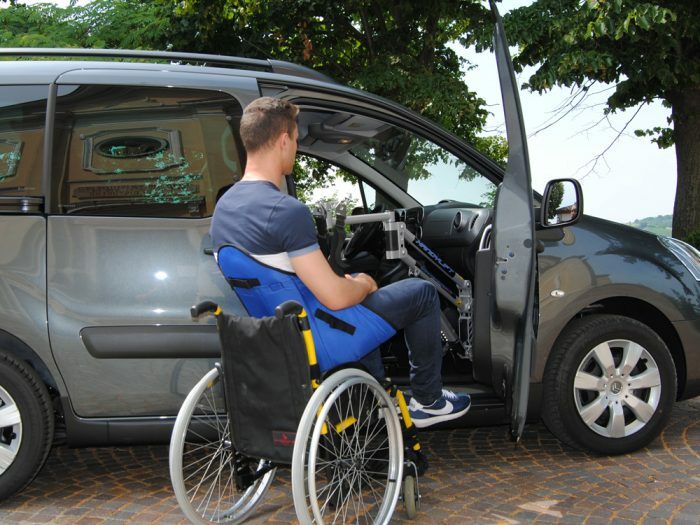 Handylift has a weight of 10.9 Kg and a lifting capacity of 110 Kg with the fixed vehicle bracket and 80kg with the hinged door bracket. 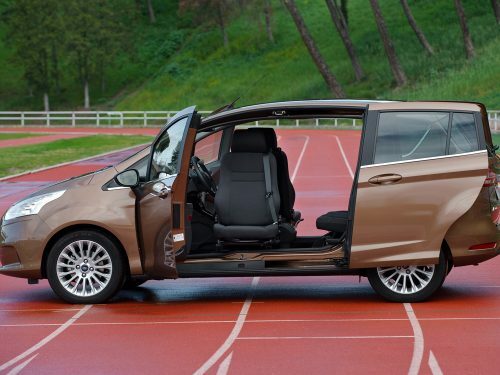 It is equipped with a comfortable remote control for the electric gear motor with anti-crushing safety system. 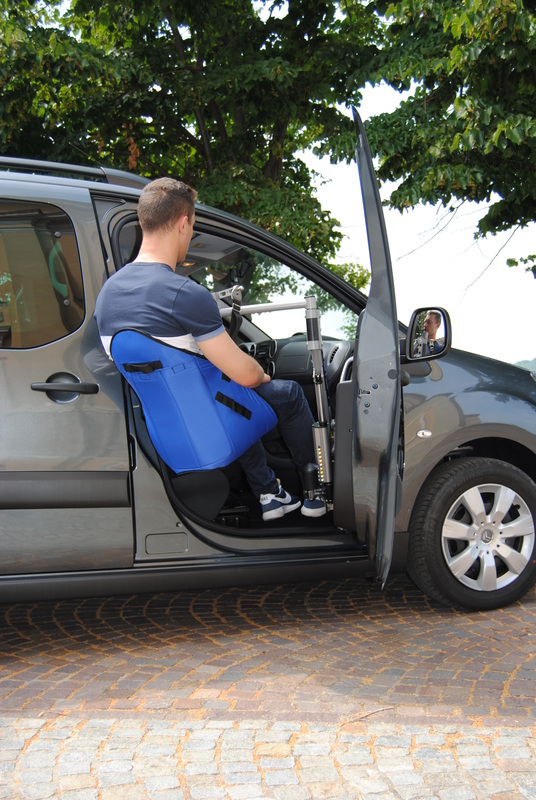 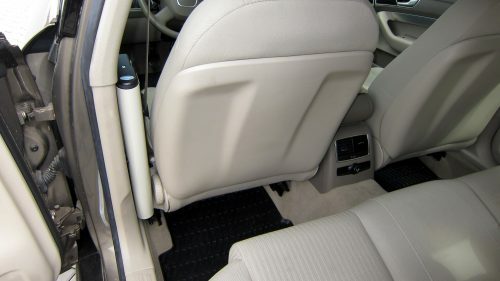 After the transfer operation, Handylift can be removed from the support bracket installed in the vehicle and it can be stored in the appropriate bag and placed in the boot. 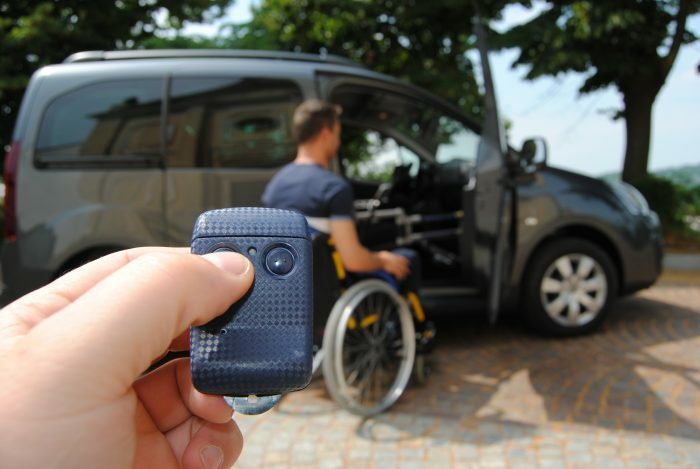 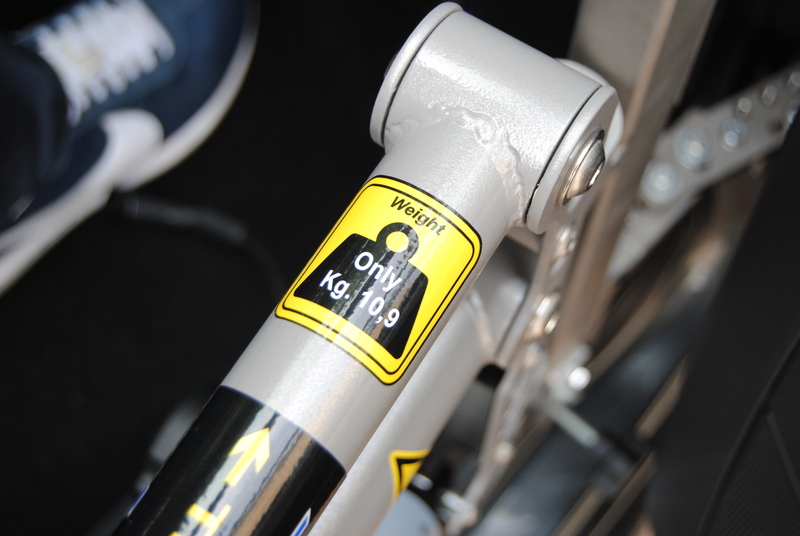 Handylift allows the transfer operation on different vehicles with a unique device, if the vehicles are equipped with the appropriate bracket. 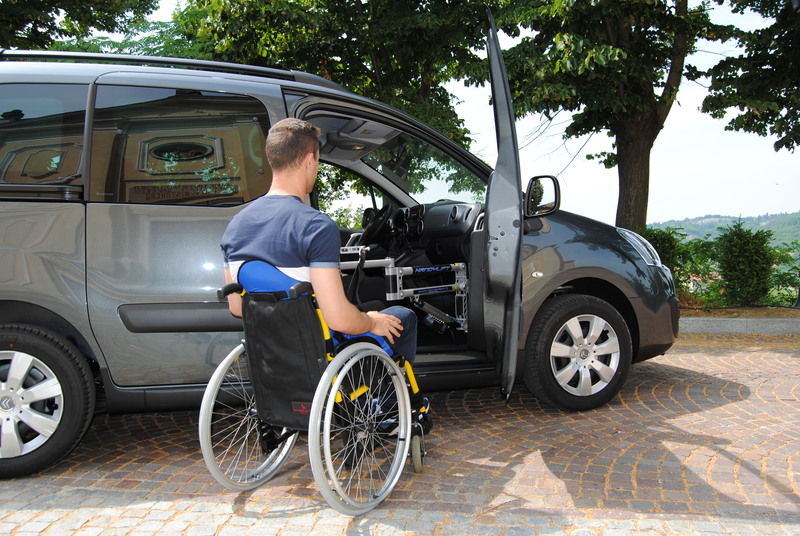 Handylift can be installed on a specific trolley, usable for the transfer to and from wheelchairs, beds, toilets, at home or in an hotel. 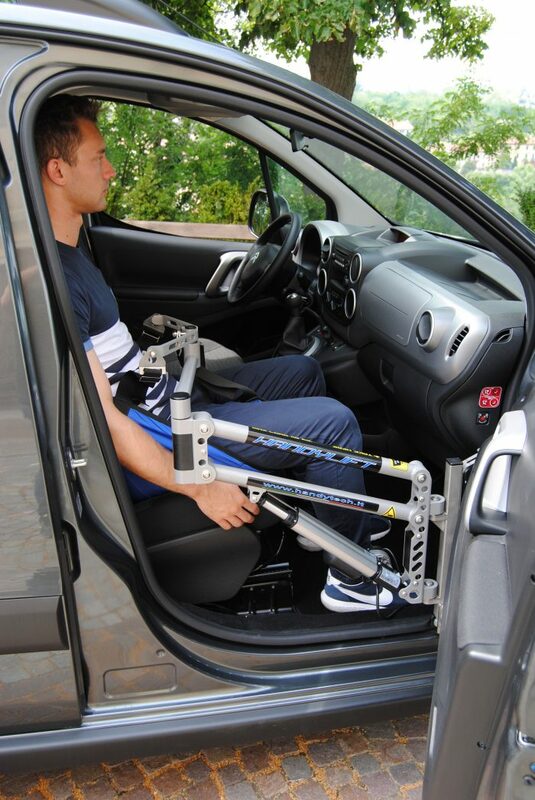 The steel trolley is adjustable for individual needs and it can be disassembled in order to facilitate its transport. Two non-slip rubber handles facilitate the move, while the two pivoting wheels equipped with brakes increase safety and allow passing some little differences in level easily, thanks to their wide diameter. 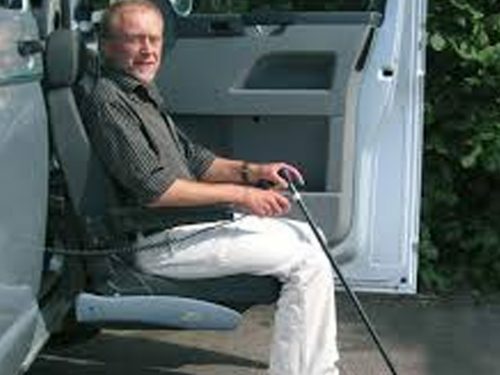 Handylift is powered by the specific charger that can be quickly applied to the trolley. 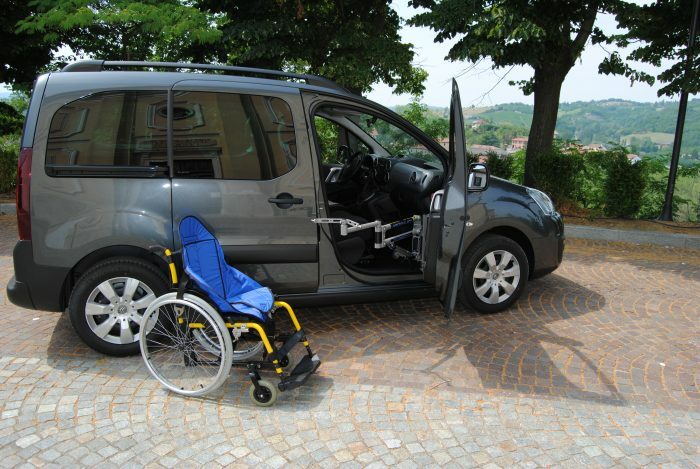 For domestic use, Handylift can be applied to an appropriate wall support, equipped with height adjustment. 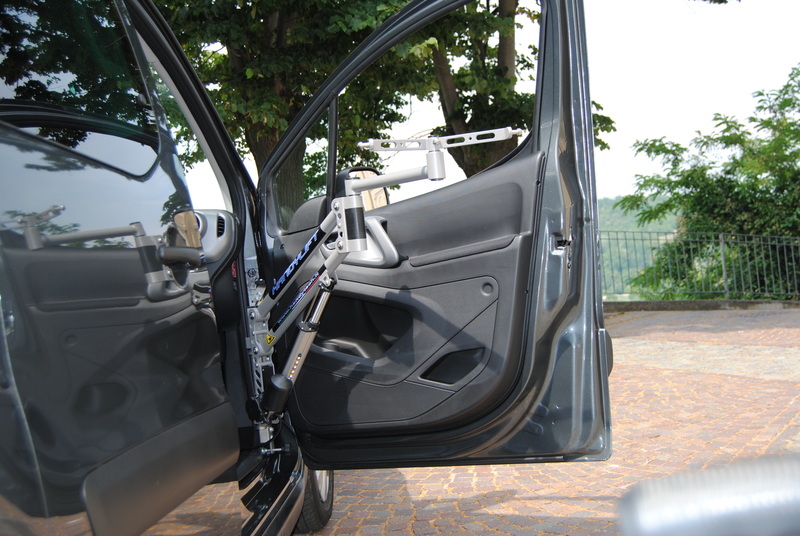 The constructive strength of the support and the six, evenly distributed, fixing points, guarantee an excellent hold and different anchorage possibilities on the wall where it is applied. 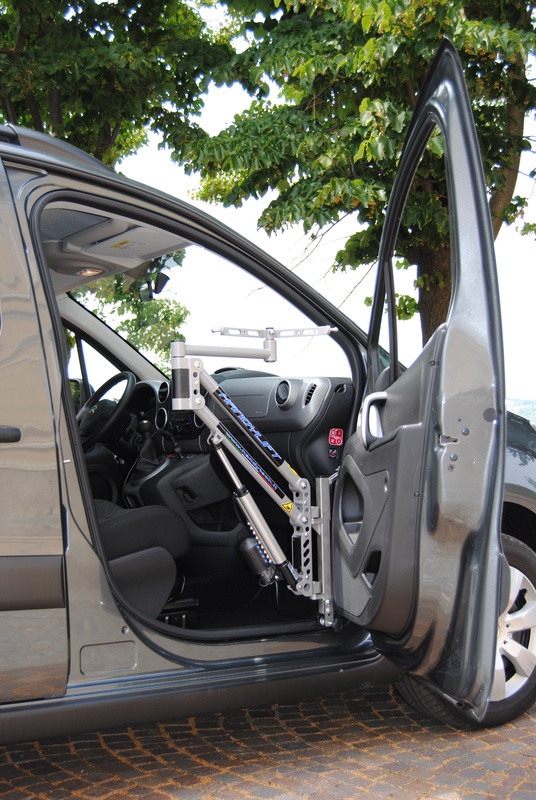 A mechanical extension of 200 mm can be used with the wall support, increasing its radius of use and its possibility of junction. 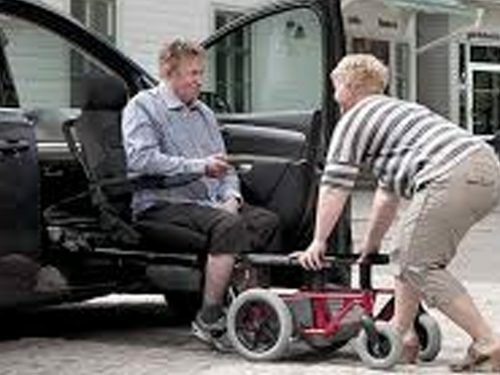 The Handylift working is guaranteed by the charger in power absence too.